Nikon 1’s were never cameras for me, but V3 suddenly opened up potentials. If 35mm equivalent (preferably f/1.2) was to come out I would have no reservations about using it on the street, sensor size shyness would then fly to hell. 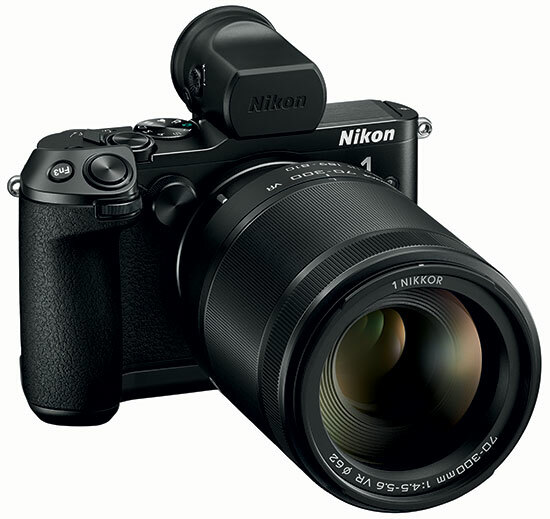 It is true that this camera is the most “enthusiast”-ready in Nikon 1 line-up. To summarise my sudden fondness of it, disregarding the feel and solidity, I would say it comes down to how I see using it, especially on the street, with the combination of tilting touchscreen and instant AF point selection. Viewfinder certainly makes this camera “serious” and for me it’s a much, but I’m not going to dismiss additional opportunity given by the above combo. And of course- the right move in the GUI improvements suddenly made this camera usable. Alongside the V3 camera today Nikon has also announced the 1 Nikkor 70-300mm f/4.5-5.6 VR lens. The price is $996.95/£879 in the US and UK respectively. You can find sample images at Nikon Asia and Nikon-Image.com.